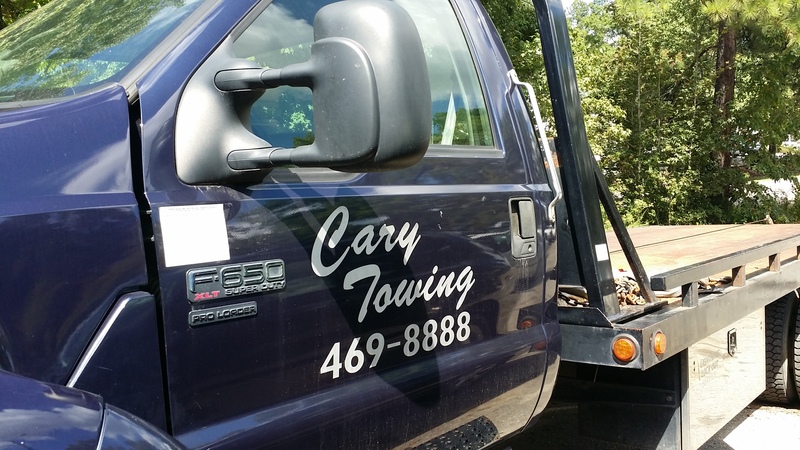 Look for the Friendly Cary Towing Truck! 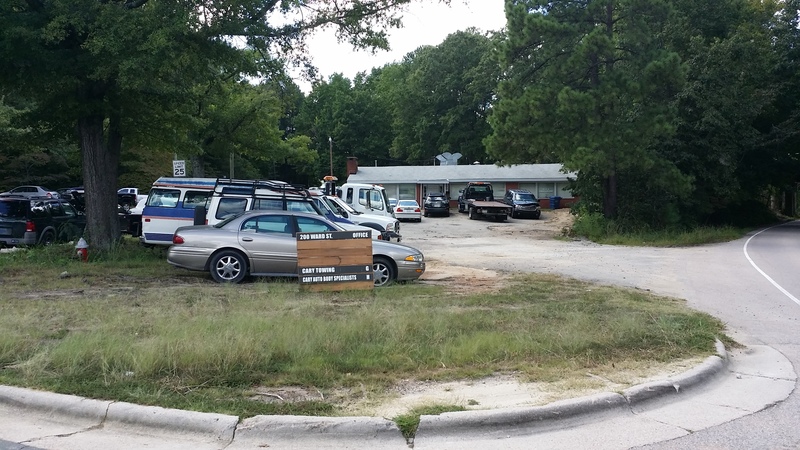 For 22 years we've been serving the Triangle Area from our home base just outside of downtown Cary NC. 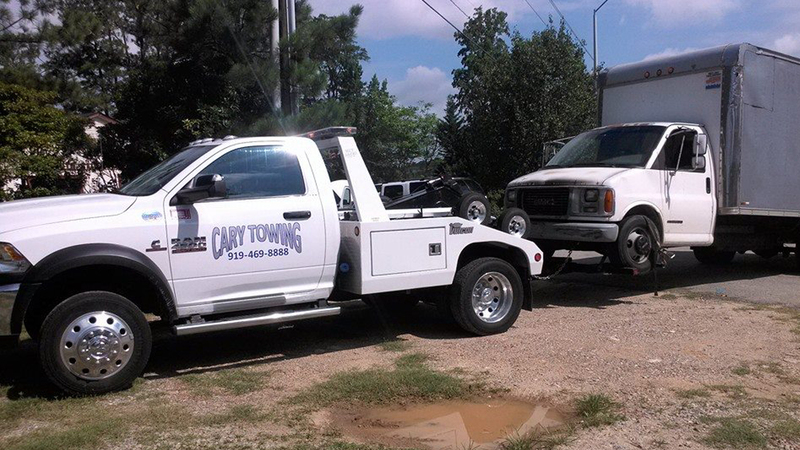 Call us for all your automotive needs; we partner with Cary Auto Body to get you back on the road as soon as possible. At the crossroads of Ward St. and Durham St. Just outside of Downtown Cary! 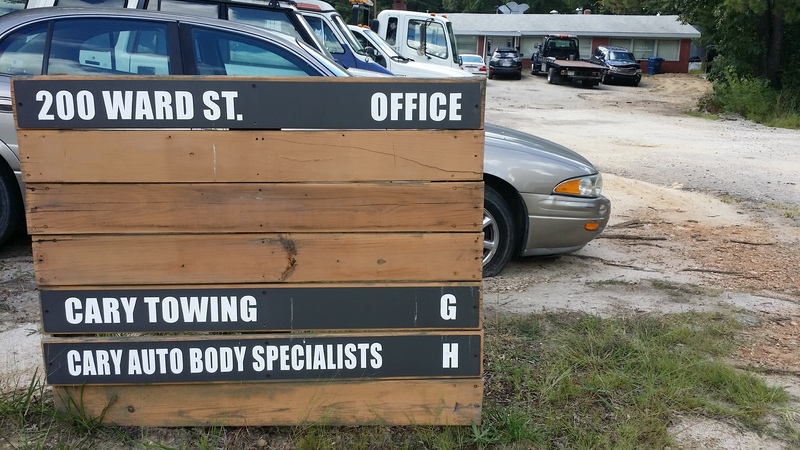 If you're in an accident, we'll pick you up AND get your car fixed with our partners at Cary Auto Body Specialists. Featuring the Accudraft Paint and Chief Frame Systems! Let Us Give You a Tow! 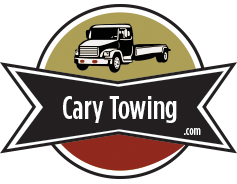 We offer light and medium duty towing services for Cary, Apex, and the surrounding areas. We are family owned and operated. Cars, Trucks, SUVs, and Boats welcome!